The Easter holidays are upon us and the Spring sunshine is filling the sky, and our hearts, with some much needed warmth. It's that time of year, with the clocks already having moved on, that I start to look ahead to the long sun filled days of Summer and begin to make some plans. My Summer always has to include a tent and a festival and this year I am so happy to be going back again to cover the amazing yoga and wellness festival that is Soul Circus. Tucked away in the quiet area of Elmore, Gloucestershire, and within easy reach of the M5, Soul Circus is an ideal festival for the yoga lover whether you are on the start of your yoga path or way down that road; with a wealth of classes to suit a variety of styles there will always be a class for every yogi to participate in. Many faces are returning from last year including Aimee Garcia-Marshall, who had me smiling all the way through her Vinyasa Flow class, Taylor Harkness, the first teacher to inspire me to attempt a handstand, and Emily Young (RYT 500 & senior lecturer in Children's Health and Wellbeing) to whom I owe a big thanks for really igniting the spark in me to train as a children's yoga teacher following a wonderful conversation with her last year, as well as assisting me in my handstand in Taylor's class! 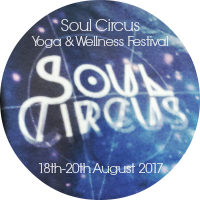 Soul Circus will also have the whole family in mind again in 2017 with Mary Grinstead installed as the resident yoga instructor for the under 18s. 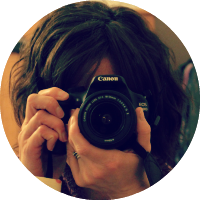 As a fellow school teacher, and children's yoga teacher, I'm really looking forward to seeing Mary working with the younger yogis at Soul Circus. 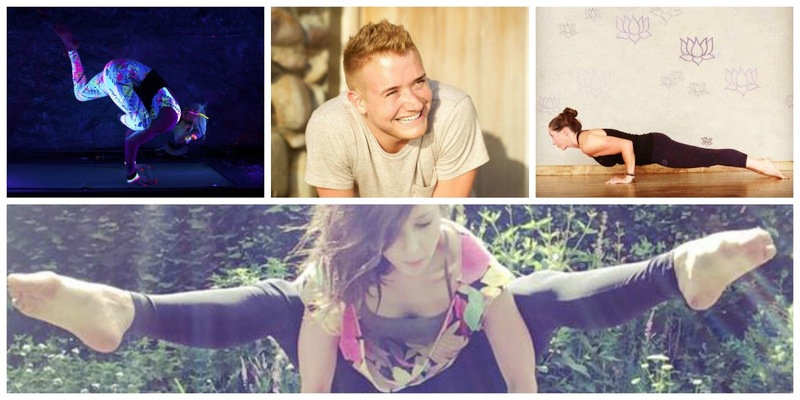 As well as having opportunities to challenge yourself with your asana practise, Soul Circus also places high value on it's musical entertainment. Music will fill the air of Soul Circus 2017 with live entertainment on the main stage and acoustic offerings tucked away in pockets around the site. Food and Drink looks to be a winner again; 'Whatever your diet, whether you desire gluten free, dairy free, cold pressed or grass fed we've got it covered!' 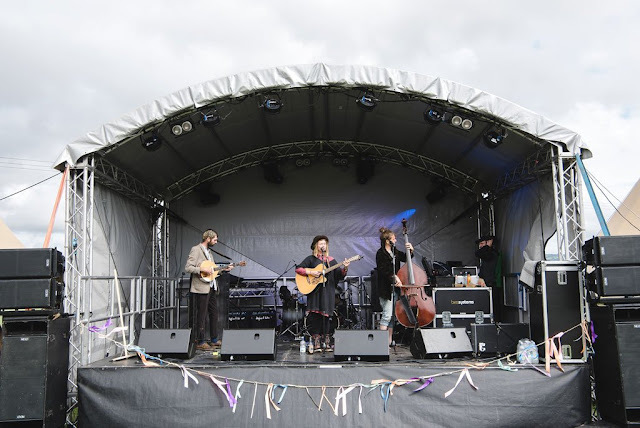 Local produce is a key point again this year as well as the festival having it's own manifesto on sustainability including pledges to increase recycling and lower food waste, introducing composting loos for 2017 and sourcing food locally within 60 miles of the site. For a bit of indulgence and pampering the VIP experience will give you access to a champagne bar, VIP champagne lounge, all day coffee and tea bar plus more! You can also add a spot of extra comfort to your camping experience with a range of luxury glamping options plus, new this year, pre-erected tents. You can of course bring your own tent or camper van! Wherever you stay for the two nights of Soul Circus 2017 you are bound to have a dreamy, chilled out sleeping experience. 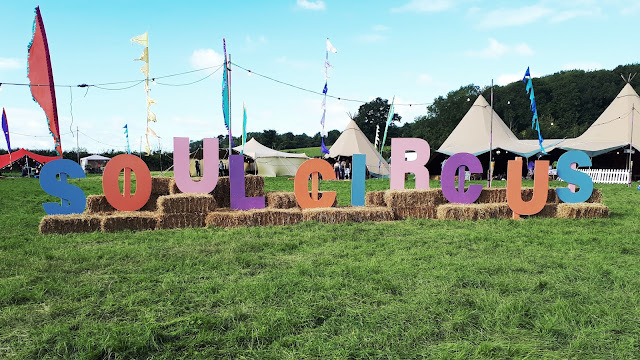 Soul Circus 2017 takes place 18th - 20th August at Elmore Gloucestershire. You can find out more information on the Soul Circus website including ticket info. You can also read more about my time at Soul Circus 2016 here.